Amsel said: "The British Bokshop in Frankfurt, on Boersenstrasse, is behind the old stock exchange building. They carry all sorts of books in English. 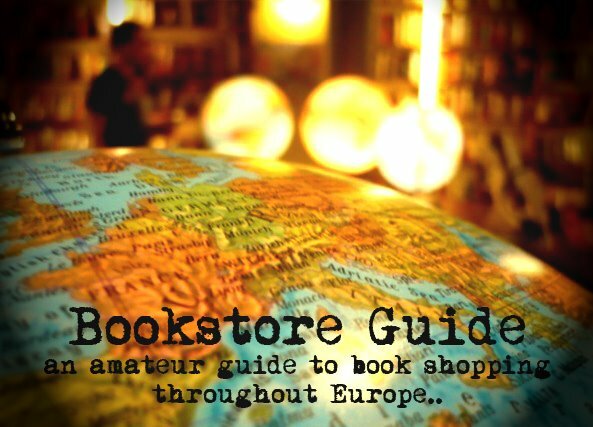 In addition any larger bookstore in Germany has an English shelf, but mostly for the latest bestsellers only." 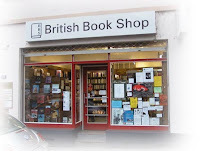 The British Bookshop is a small exclusively English spot in the city of Frankfurt. It has been a stable part of Frankfurt's bookstore scene for the past half century (operating since 1956), offering its customers (as stated on their website) - their independent choice. The English character of this bookstore is expressed in the fact that its offer only specializes in English language books, but also in its decision to recruit its staff members predominantly from Britain and Commonwealth countries. The long tradition, and a constantly high standard of services have earned this bookstore a great reputation and lots of satisfied regular customers. As mentioned above, in terms of size, The British Bookstore is no giant. However, its stock still maanges to provide the customers with a rather complete selection of titles in various categories. Besides the wide selection of general fiction, you can browse through non-fiction sections which include books on history, religion, the world of business and finance, politics, philosophy or psychology. Separate sections are dedicated to travel literature and even children's books, and as a promoter of English language, this bookstore also has a considerate English language teaching section. This bookstore also has a very functional and up-to-date website, through which it's possible to order any book from their online catalog, as well as any British or American book in print that is not a part of their stock. As the store's offer focuses uniquely on new books, which are all imported from Britain or the US, the prices are somewhat higher. Bottomline, The British Bookshop has been Frankfurt's premier location for English titles for quite a time, and this fact still stands true.